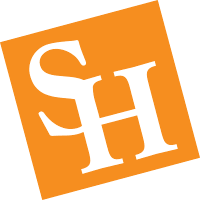 Founded in 1986, the Sam Houston State University Agricultural Alumni Association is one of several alumni associations at Sam Houston State University. In the spring of 1993 a Constitution and By-Laws were approved for the association. The Association's founding purpose was to provide support for the programs and students of the SHSU Department of Agricultural Sciences & Engineering Technology, a purpose that still serves as the guide for all events and endeavors of the Association. Ag Alumni Association members and its Board of Directors are dedicated to the future of agriculture and share a commitment to agricultural progress. Agriculture today is a complex, changing industry. No industry faces greater opportunities or challenges as we begin the 21st Century. Access to the valuable network of agricultural leaders, who are your fellow SHSU Ag Alumni. The chance to support the development of new agricultural leaders and help young leaders experience the same high-quality education you received. The opportunity to support your College of Agriculture and help direct it toward a future of continued excellence. Invitations and information concerning University-wide events and alumni activities, including Homecoming, Alumni reunions, and the Ag Classic Golf Tournament. All former students of the SHSU College of Agriculture are eligible for active membership in the Association. Annual and Lifetime memberships are available, as are memberships for spouses, students, faculty, and non-alum friends of the college. To become a member of the Ag Alumni Association, simply complete the Membership PDF below.